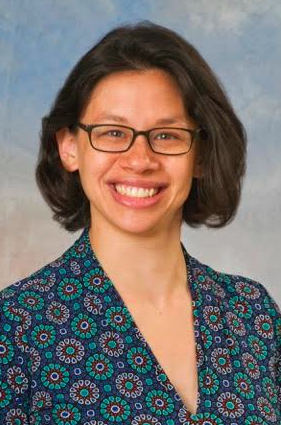 Helen Hayes Hospital has announced the appointment of Victoria Lent, M.D. to its medical staff. Dr. Lent will serve as Director of Spinal Cord Injury Rehabilitation at the physical rehabilitation hospital in West Haverstraw. Dr. Lent joins the hospital from Stanford University in Palo Alto, California, where she completed her fellowship in Spinal Cord Injury Medicine. Prior to that, she completed her internship and residency in Physical Medicine & Rehabilitation at the University of North Carolina Hospitals in Chapel Hill, North Carolina, where she also served as a Chief Resident. Dr. Lent has volunteered as a physician in Haiti, working with children with disabilities at an orphanage and with the rehabilitation unit at the University Hospital. In addition, she volunteered as a physician in Nicaragua staffing a remote clinic. Dr. Lent is a member of the Academy of Spinal Cord Injury Professionals, the Association of Academic Physiatrists and both the International Society and American Academy of Physical Medicine and Rehabilitation. She is the recipient of awards from the Robert Wood Johnson Medical School and the Rehabilitation Institute of Chicago. Dr. Lent received her undergraduate degree from Yale University and her medical degree from UMDNJ-Robert Wood Johnson Medical School. At Helen Hayes Hospital, Dr. Lent will direct spinal cord injury rehabilitation services. Working closely with a interdisciplinary treatment team, she will manage the care of all inpatients on the spinal cord injury unit. In addition, she will be providing outpatient medical care to this patient population. The strength of the HHH Spinal Cord Injury Rehabilitation Program is its capacity to address all of the complex effects of spinal cord injury, including paraplegia and quadriplegia, respiratory disorders, bowel and bladder dysfunction, wound care and spasticity, as well as emotional and psychological issues related to adjustment to a new way of life. SCI patients are admitted directly into a specially designed and equipped spinal cord injury unit, which offers round-the-clock monitoring and the capability to care for patients with feeding tubes and ventilators. The CARF accredited acute rehabilitation program provides a full spectrum of services, along with access to highly specialized care and state-of-the-art equipment and technology, including body weight supported gait training, functional electrical stimulation, vibration and aquatic therapies. Peer mentorship, a spinal cord injury support group and adapted sports round out the program.